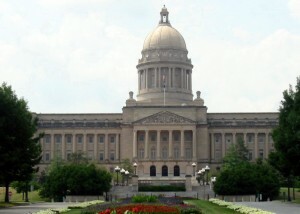 Frankfort, Kentucky — Lawmakers in the state of Kentucky have voted to override Democratic Governor Steve Beshear’s veto of a religious freedom bill that passed in the legislature last week. However, the legislation received tremendous support in both House and Senate as the Democratic-controlled House voted 82-7 in favor of the bill. The state Assembly likewise overwhelmingly approved of the measure. Therefore, following last week’s veto, legislators this week voted to override Beshear’s rejection of the bill, making The Religious Freedom Act the law of the state. The House voted 79-15 in favor, and the Senate followed with a 32-6 vote. A few legislators still held out against the measure, stating that it was unnecessary. “This is a piece of legislation looking for a reason,” Democratic Representative Darryl Owens told USA Today. The law will now protect residents with “sincerely held religious beliefs” unless there is a “significant government interest” that can be defended in court.